Roxanne was an 10 year old mix-breed. 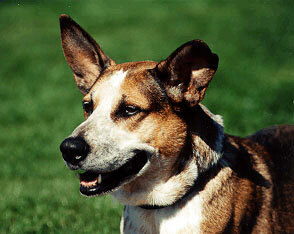 She was a rescue dog and was adopted on March 15, 1994 by Mia and Mike. She enjoyed agility for 3 years. She earned her Canine Good Citizen title and her PI title. She was so mellow and lovable that she easily passed her therapy dog test. She also was quite a talented trickster and won “Best Dog Tricks” at a local DAWG fair. Her favorite things to do were sleeping in the sun and listening to The Carpenters. She also loved supervising Mia’s agility classes each Saturday and club members will miss her always.